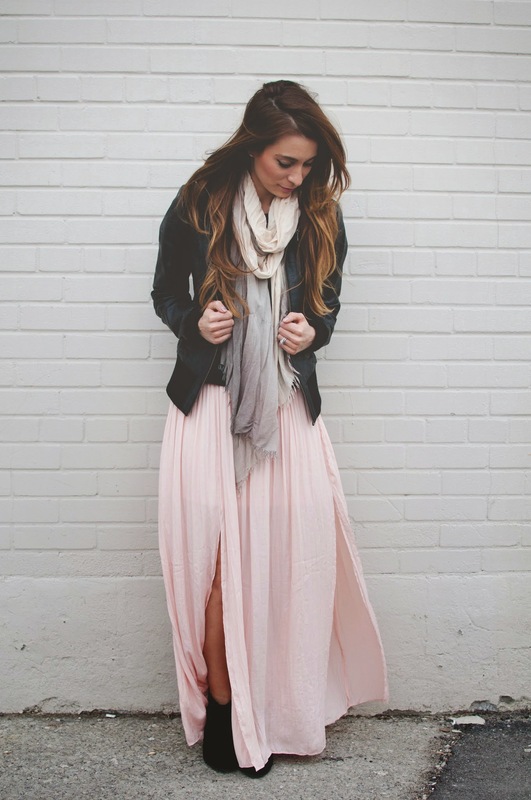 OOTD - Blush Pink Winter Maxi Skirt | La Petite Noob | A Toronto-Based Fashion and Lifestyle Blog. I kept the palette basic by just adding black and my favourite in-between seasons versatile piece - a black leather jacket. Black booties kept my feet warm and a light linen scarf was just enough to keep toasty without the overkill of wool. 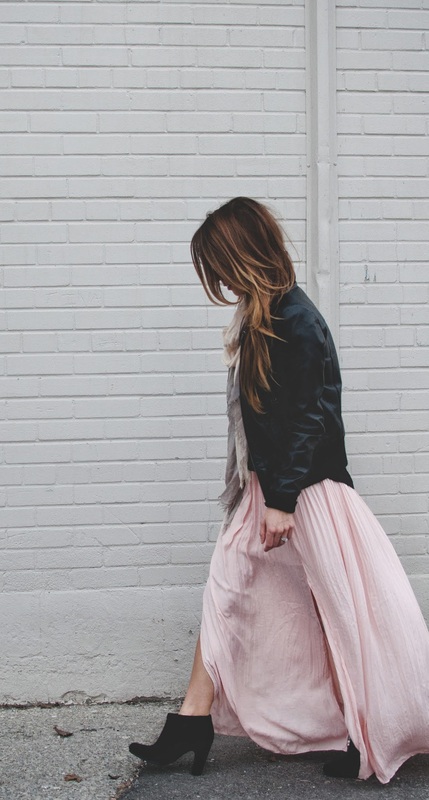 The weather may be getting me down, but I'm not going to let it curb my new found enthusiasm for personal style - or shopping! How neat! I just received the same robe in the same fabric from them. I am using it while in the hospital as a maternity robe!